SP The Knitted Teddy Bear - Crochet Stores Inc.
Everyone loves teddy bears—and this charming collection offers 12 bears of various sizes, shapes, and styles to knit, along with sweet outfits to dress them in. They range from beginner-friendly tiny teddies, which use only a small amount of yarn, to the fully jointed Catherine, the biggest bear in the book. Playful Christopher and Rosie, with their long bodies and short legs, wear cute overalls. Robert, with his glasses and vest, has the air of a professor. 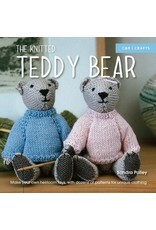 Or choose Lily the panda, Sleepy Sam, heirloom-style “old bears,” and more. The instructions are easy to follow, and knitters can build on the patterns to create many other variations. 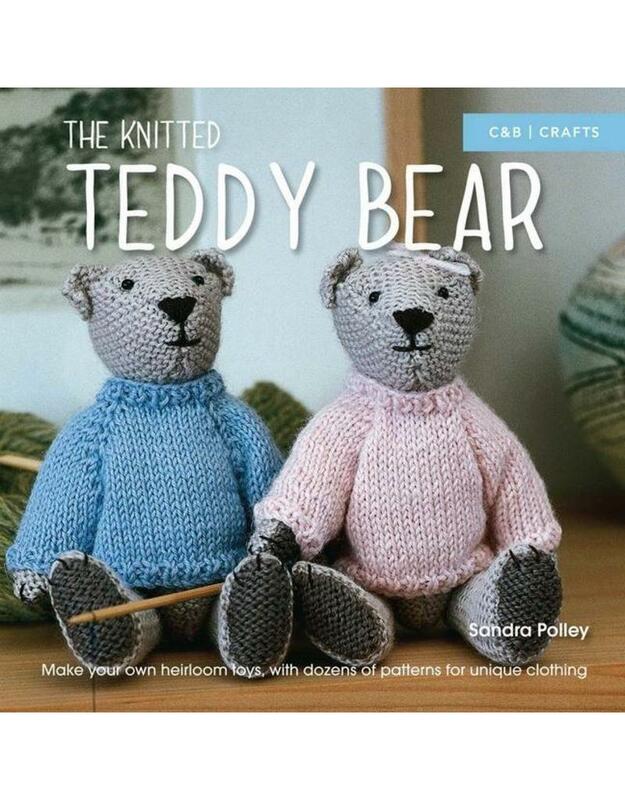 Sandra Polley’s designs have been featured in craft magazines, such as The Knitter, Simply Knitting, and Woman's Weekly. She runs a successful small business “Knits and Pieces,” and sells her patterns through yarn shops and companies throughout the UK. Sandra now lives in Leicestershire and has two daughters, a young grandson, and a tiny Border Terrier named Oscar.